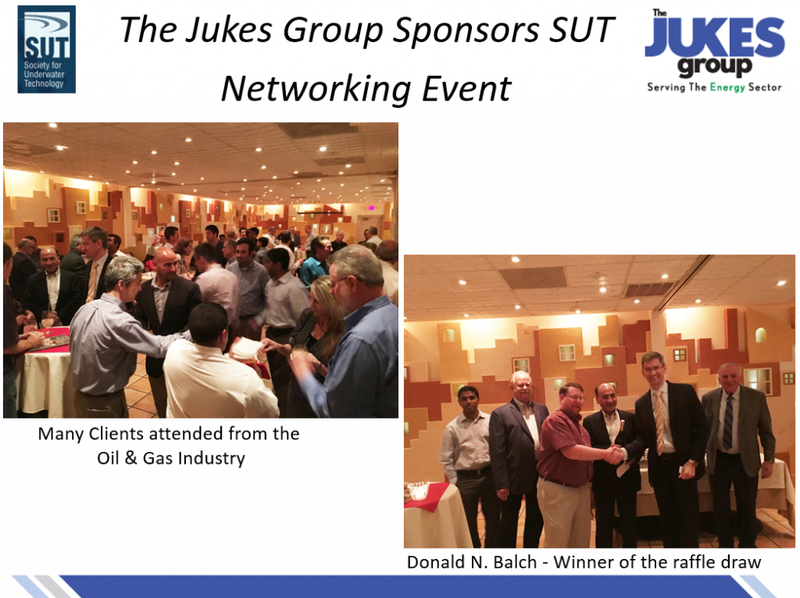 The Jukes Group sponsored the recent Society Underwater Technology (SUT) networking event. The event was an evening of networking and helping to support the SUT Scholarship Drive. The event was well attended, and it was a great way to network and meet like-minded individuals from the Industry. We are extremely grateful for everyone that turned up and supported the event. Donald Balch won the raffle draw prize.